Spending his childhood on a farm in the mountains of North Carolina, Dean St. Clair is a painter of western subject matter including animals and still lifes with rural objects such as lanterns and buckets. He studied at the Harris Art School in Nashville, Tennessee, where he also earned his living as an illustrator. He studied watercolor with local painter, Janice Pollard, and experimented with a free-hand, monochromatic airbrush method using sepia ink on illustration board. This technique has become his trademark. 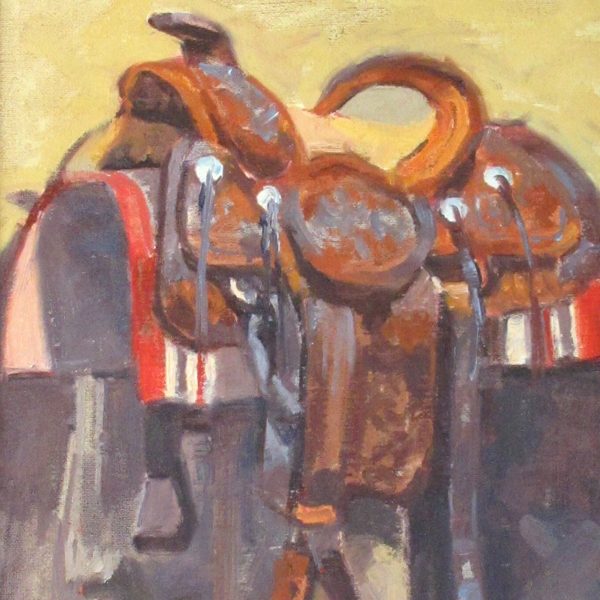 In 1983, he and his wife Linda, moved to New Mexico where he paints the cattle drives and other aspects of western life in which he has participated. The couple live in Taos. He has had paintings in the Arts for the Parks Top 100 and has won awards from the National Watercolor Society, the Salmagundi Club, and the Mountain Oyster Show in Tucson. His work has also been exhibited in the Rising Stars Show at the Desert Caballeros Museum, as well as a one-person show at the Rio Grande County Museum, and a two-person show at Koshare Indian Museum. Dean St. Clair died December 25, 2003 from complications from flu.